6-handed play lasted 70 minutes in Day 2 of the Monster Stack. 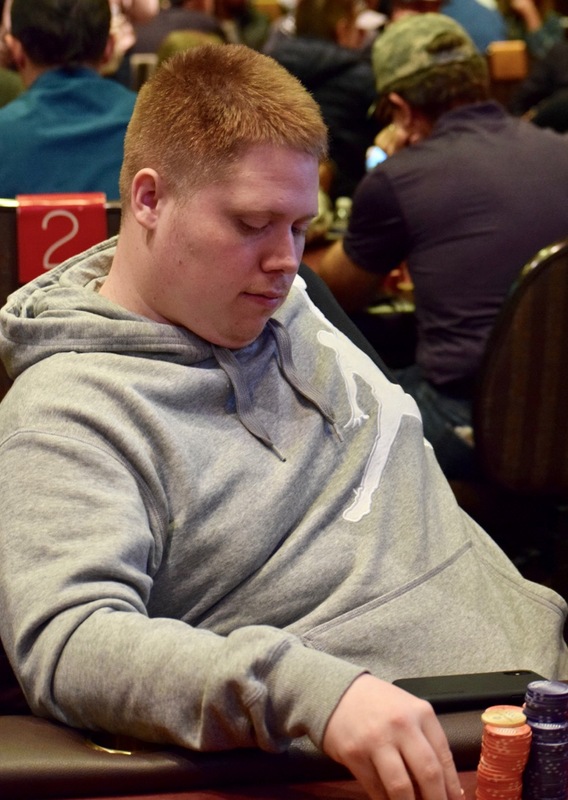 Start-of-day chipleader Chris O'Hara (above) finishes 6th for a $4,802 cash, eliminated by Oscar Tobar. Tobar moves to 1,800,000, leading the way 5-handed, followed by Jed Hoffman, Michael Scott, Rickey Evans and John Dimond.